Ozat offers the largest program of impact sockets striking wrenches and construction wrenches, which are specially designed for heavy duty impact workload. 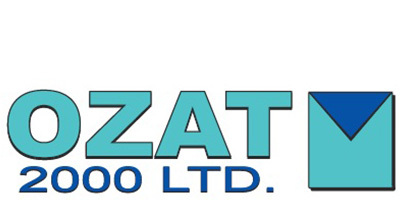 For over 40 years, OZAT has manufactured tools and parts recognized in over 60 countries throughout the world for their high quality and reliability. The companies quality management system has been audited by the Standards Institute of Israel, and complies with ISO 9001. OZAT socket design is clearly superior to most other available sockets. Their state of the art Electro-chemical machining process makes it possible for OZAT to produce all of their sockets in the less-stressTM configuration illustrated below. Without these special-machining capabilities, the cost of producing the preferred less-stress sockets become prohibitive. Manufacturers who use the normal broaching method to achieve the hex pattern in their sockets, may have to compromise in the selection of suitable steel, OZAT is able to specify the most perfectly matched material from which to manufacture the most durable and reliable sockets available. OZAT marked sockets carry lifetime warranty as long as they have been used according to specifications and by the original purchaser. With these products, OZAT offers a line of Air tools including the requested Air tools replacement parts. These tools are direct results of the companies` approach to extend activities and develop new programs with high quality tools and excellent service. ATP offers solid performance and we back our ATP tool designs with over seventy-five years of experience. We take a common sense approach to the features of our products, if a particular part lasts longer machined from bronze it stays that way, we don’t compromise quality. ATP has been manufacturing replacement parts for most of the industry`s recognized professional tool products for decades, meet¬ing all industry specifications, delivering on time and on budget, our ATP tools are the embodiment of everything we’ve learned. We`ve shaped the ATP product line to be solidly dependable and competitively priced. Our replacement parts may be in your plant`s pneumatic tools now. We want you to use our ATP lines based on their merits. Ask your distributor about our ATP “Prove It Program” or call us direct. I believe we have the cost effective answer to all your professional tool needs. Try ATP pneumatic tools, our repair parts, and sockets, all you have to lose is high overhead. For OZAT tools the warranty is LIFETIME. It is effective for as long as you own the tool. For Ozat power tools the warranty period is for ONE YEAR from date of original purchase.